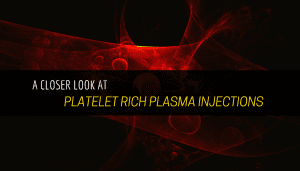 A Closer Look at Platelet Rich Plasma Injections - Piedmont Physical Medicine & Rehabilitation, P.A. When the body is injured, platelets and white blood cells from blood are naturally called to the injury site to initiate a healing response. Under normal conditions, these platelets release a number of growth factors to help regenerate and regrow damaged tissue. 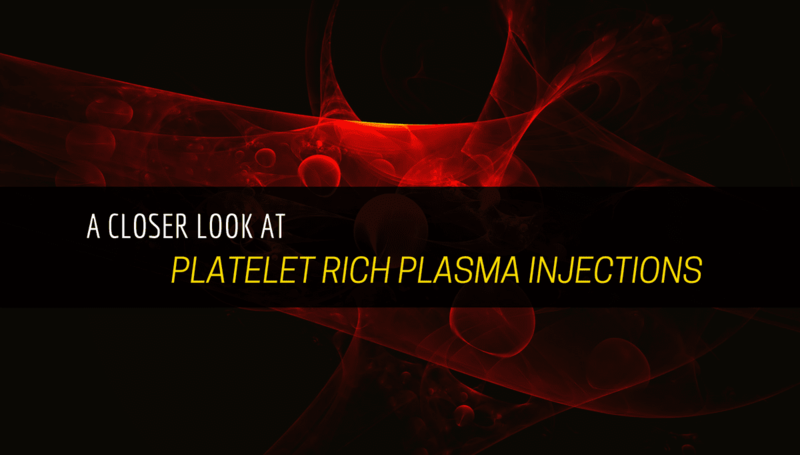 This regenerative process is captured in one of Piedmont Physical Medicine & Rehabilitation’s treatment options called, platelet rich plasma (PRP) injections. Through PRP injections, healing injured tissue is more effective and efficient. Ultimately, the goal is to repair the injured tissue and diminish aches and pain, which is what we have witnessed with many of our patients. What Conditions can PRP Injections Help Treat? There are a number of conditions that PRP injections can help treat. PRP injections work effectively on chronic ligament and tendon sprains/strains or other injuries. It can also help joint pain (such as arthritis), knee meniscus damage and in some cases of back and neck pain. Many of these conditions develop due to overuse, injury, or simply, age. What Does the PRP Injection Procedure Entail? To begin, 60 ccs (approximately a fistful) of blood is drawn from the patient’s arm to obtain a collection of PRP. Blood contains platelets, plasma, white blood cells and red blood cells, but only the plasma and platelets are necessary for the procedure. After 60 ccs of blood have been drawn, the collection is spun in a centrifuge to process and concentrate the PRP. This allows us to keep the necessary biological material (with all the growth factors) and remove the red and white blood cells. Once the concentrated PRP (approximately 6 ccs) has been isolated, the injection is performed. For the most seamless and comfortable injection, a local anesthetic (numbing medicine) or nerve block may also be used. Usually, ultrasound guidance is employed to ensure the accuracy of needle placement, however, it isn’t always necessary. As we mentioned before, under normal conditions, these platelets release a number of growth factors to help regenerate and regrow injured tissue. With the injection, the body’s natural healing potential is enhanced for a more rapid, efficient and thorough restoration of healthy tissue. When recovering from a PRP injection, you can expect some soreness at the injection site for a couple of days following the procedure. Some patients have noted feeling nothing at all, but regardless of how you feel, we always recommend that you dial down your usual activity level and go easy on your body – especially the injection site. Approximately 30 days following the injection, the PRP has exercised its full potential. Improvements don’t typically occur after this point. So, depending on your body’s response to the PRP injection, a follow-up treatment may be required. Recheck is typically 2-3 weeks following the procedure. Just like anything else, the more severe the injury is to begin with, the more difficult it can be to get a good response. However, in general, mild to moderate injuries tend to respond quite effectively to the injection. If more attention is needed, proliferative injections (Prolotherapy), restorative or physical therapy, or other enhancing treatment options may be recommended. How does PRP Pair with Stem Cell Therapy? PRP injections and stem cell therapy may be performed as two separate treatments, however, it is common to receive a PRP injection either during or after stem cell therapy. A PRP injection adds activating growth factors to stem cells and positively influences them in differentiation. Essentially, the PRP concentrate boosts the stem cells’ capabilities in regeneration. For more severe diseases or more severe conditions, like advanced joint space narrowing, PRP injections alone may not be the answer. PRP injections work wonderfully for soft tissue injuries like ligament and tendon sprains or strains, rotator cuff injuries, or early joint space narrowing. If you are unsure about whether PRP injections are suitable for your condition and unique situation, please give us a call at 864 235 1834. We would love to discuss your condition and the treatment options available to you.